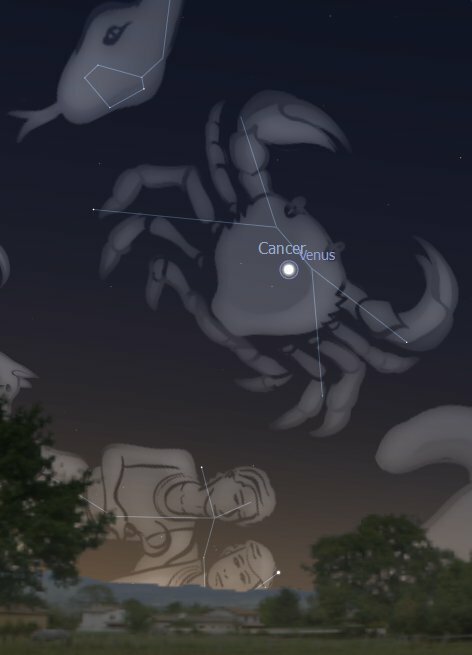 The second and third week of February have been exceptionally good for observing the visible planets, Mercury-Venus-Mars-Jupiter-Saturn. During the later part of the night they were threaded upon the vault of the sky like a string of pearls, all visible above the horizon at the same time; Jupiter rising first in the evening and Mercury last, before sunrise. The last time the same alignment occurred was ten years ago; and the same will not happen again as strikingly until 2018. 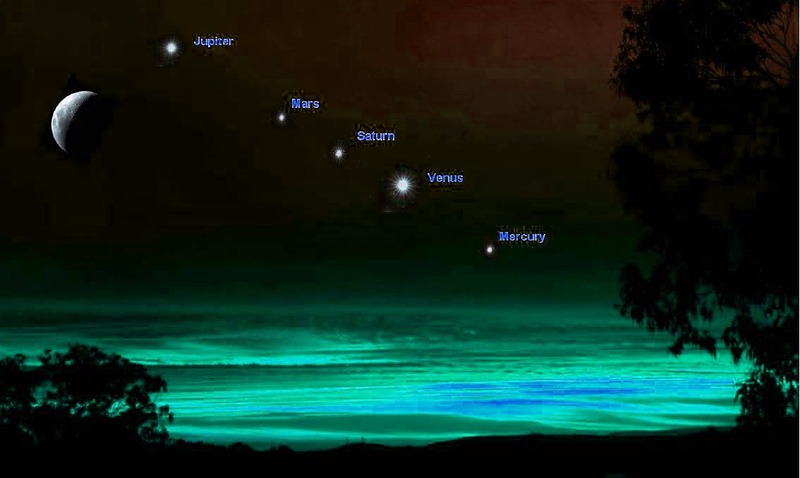 Here is an artist impression of the February alignment. Things are different in March. Jupiter reigns supreme now, rising first after sunset and setting last before sunrise. Also easily observable are Mars and Saturn, high up in the pre-dawn sky. Venus instead is now swiftly dipping eastward toward the Sun, still visible but bit closer to sunrise every day. This is in view of her imminent total immersion in the Sun glare in June (Superior Conjunction). Rising later and later during this month, to be just above the horizon at the end of March, Mercury is now completely lost in the light of the Sun and will re-emerge in the west as an Evening Star only after the first week of April. The coming Equinox Season is also Eclipse time, significant for the world’s destiny, marking the new season with some intense hues. The Sun will enter Aries and culminate on the Equator, in his northbound journey, on March 20, 2.27 am (Australian Eastern Summer Time), beginning of the mid-seasons on both hemispheres. 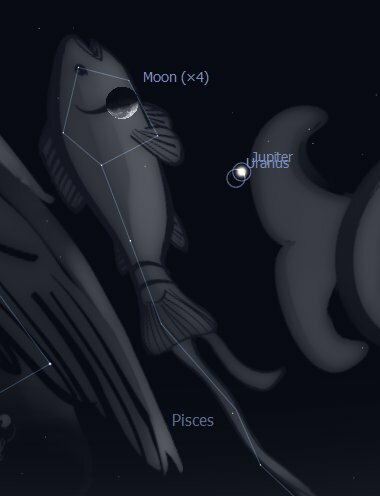 A Total Solar Eclipse will occur at the Pisces New Moon on March 9, and an Appulse or Penumbral Lunar Eclipse will occur at the Libra Full Moon on March 23, just three days past the Autumn Equinox (for the southern lands). * MERCURY: Our Little Brother met the Sun at Inferior Conjunction on January 14, ending Mercury’s apparition as an Evening Star (setting after the Sun), disappearing from view for about three weeks afterward. In February Mercury rose early enough before the Sun to become part of the planetary alignment, the last, smaller pearl in the necklace, in his brief incarnation as a Morning Star. Now again Mercury has disappeared from view. He will reach his Superior Conjunction to the Sun on March 23 , the day of the Moon’s Eclipse. 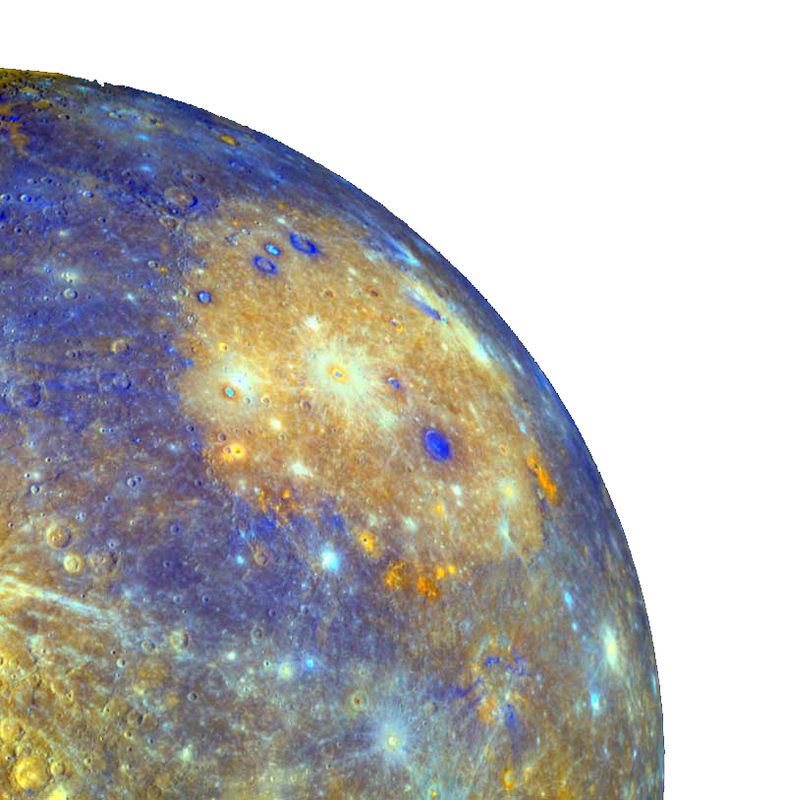 This means that the Moon, partially darkened by the Earth’s shadow, will not only oppose the Sun but also Mercury. 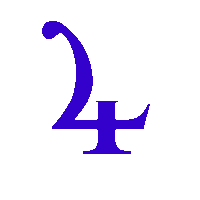 Little Brother will remain hidden until the first week in April, to reappear then as an Evening Star. Looking ahead the Evening Star’s period will end for Mercury on May 9 with his next Inferior Conjunction to the Sun. For an explanation of the reason for the Morning and Evening apparitions of Mercury and Venus check this interesting article by astrologer John Pratt, HERE. VENUS: since the end of August 2016 Venus has been the most brilliant object in the late night/pre-dawn sky, the brightest pearl in the necklace. 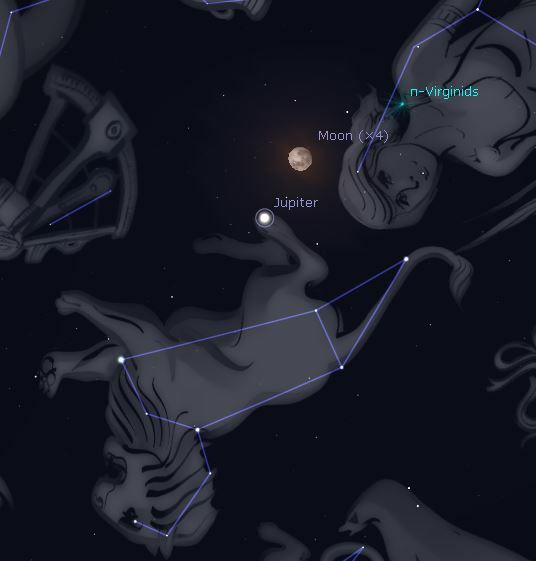 This month Jupiter will rival her and will also be available for observation the whole night long. In March Venus will rise a bit later every day, around two hours before the Sun at the beginning of the month, one and half hour at the end (in southern latitudes). 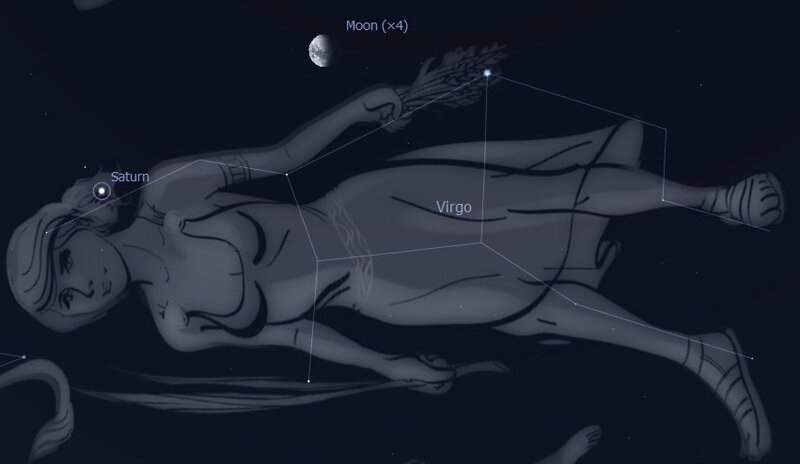 Depending on your geographical situation Venus will become more difficult to spot as the month advances. 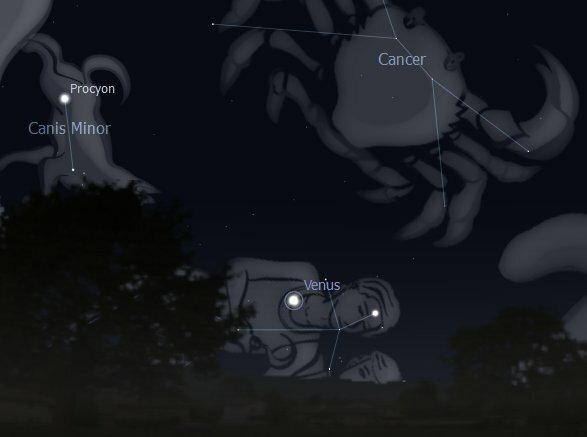 Observation is still pretty good in the southern hemisphere, despite the rapidly shortening window of opportunity, while in the northern hemisphere observers will lose sight of Venus early in March. 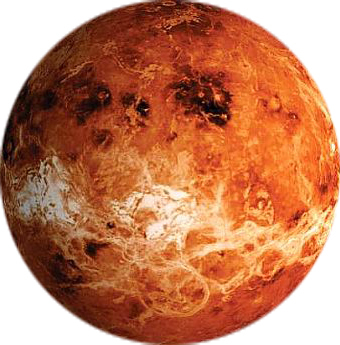 Venus-Sun Superior Conjunction is scheduled for June 6 and so our Sister Planet is hurrying to meet that deadline. It is Aphelion time for Venus too, when, on March 21, she reaches the greatest distance from the Sun in her 225 days orbit, on the ninth degree of Aquarius. 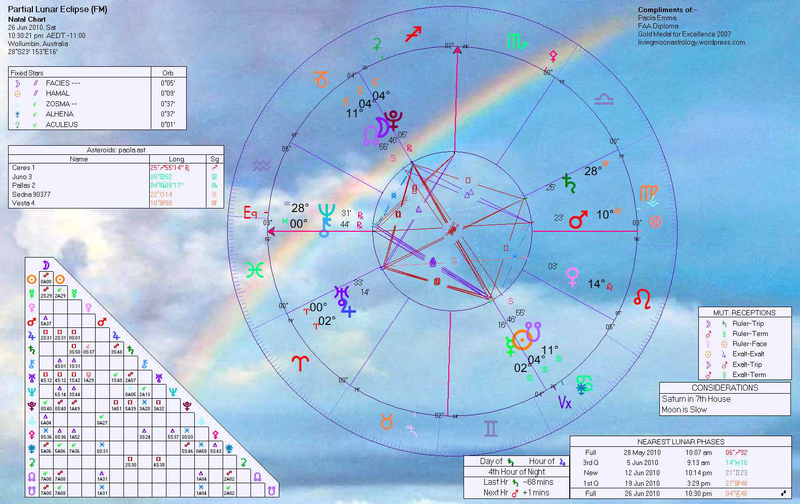 For an comprehensive explanation of the cycle of Venus and the other planets check this article by astrologer Nick Anthony Fiorenza, HERE. 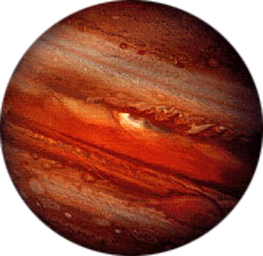 JUPITER: March 2016 is the best viewing time for Jupiter, the Giant Planet navigating the sky all night, every night. On March 8/9 (depending where you are in the world) Jupiter will reach the opposition to the Sun, directly facing the Earth and thus fully illumined by the Sun. This is the time of maximum brilliance for all planets orbiting outside the Earth’s orbit. Jupiter will be seen reaching the greatest possible height above the horizon at midnight (as the Sun at midday in the summer months). To add to this Jupiter will be also at Perigee, causing the brightest and largest apparition (apparent magnitude), by mid-month outshining all others, including Queen Venus. 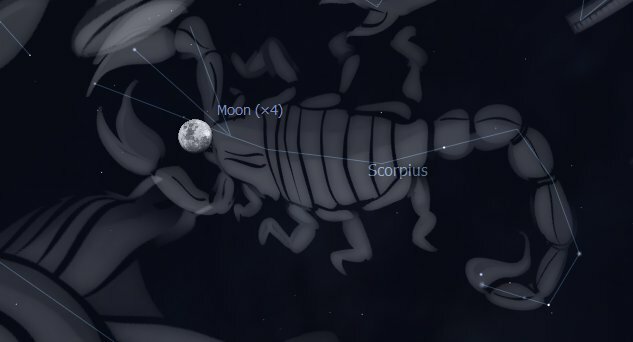 The Moon will align to Jupiter between March 22 and 23, a spectacle not to be missed, from Moon raise onward. Here is a snapshot of the event, taken around midnight looking up in a northerly direction, on March 22 2016. 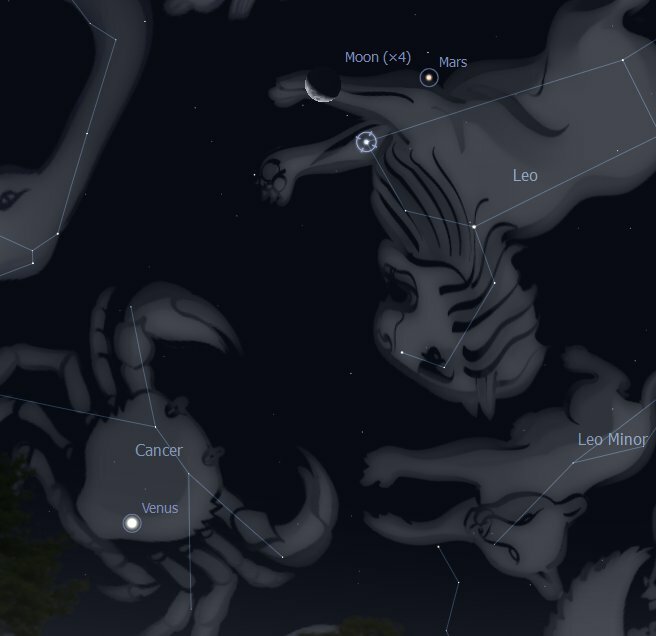 In March Jupiter will be see against the backdrop of the constellation of Leo, above and to the north of Alpha Leonis, Regulus, the Little King, the brightest star of this group. 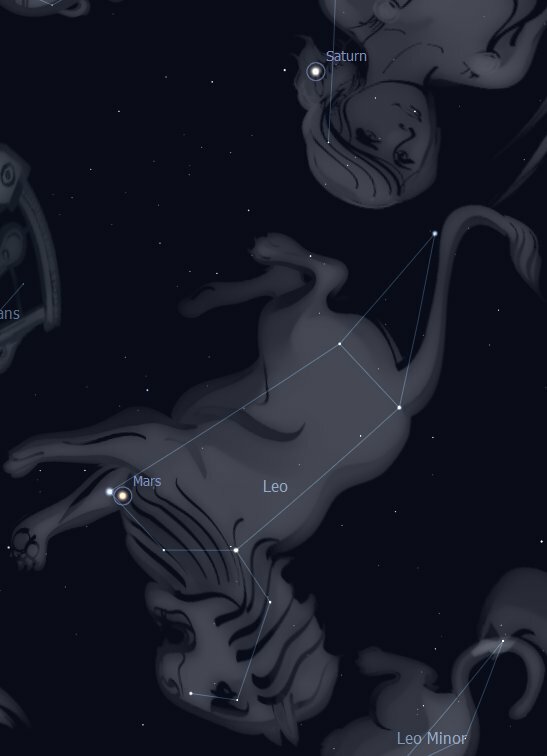 This fact may puzzle some students of Astrology because they know that Jupiter, at this moment in time, is transiting the Sign of Virgo, not Leo. 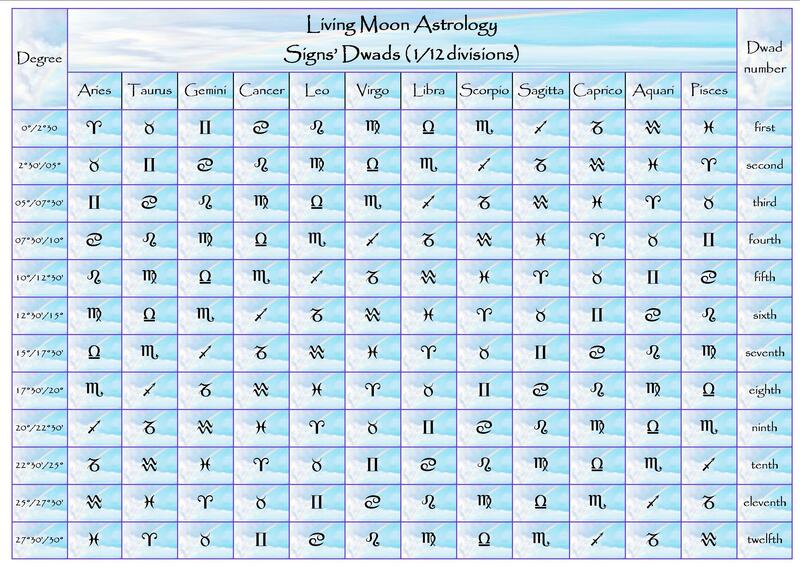 For an explanation of this conundrum please read my Tutorial on the two Zodiacs, Tropical and Sidereal, HERE. 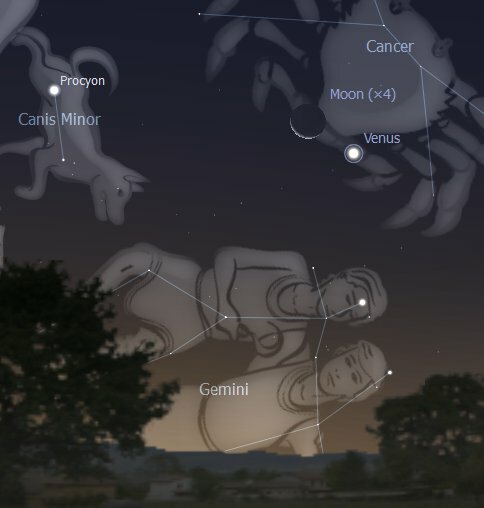 Looking ahead into this other ever changing cycle Jupiter will reach his next conjunction to the Sun on September 26, not observable for many weeks around that time, until his reappearance as a Morning Star toward the end of 2016. MARS and SATURN: I am putting together this odd couple because in March we are able to observe them in the same quarter of the sky, rising few hours before the Sun and still high above the horizon on sunrise. Here is a Stellarium image of the beautiful cosmic triangle formed this month by Mars, Saturn and the Alpha Star of Scorpio constellation, Antares. 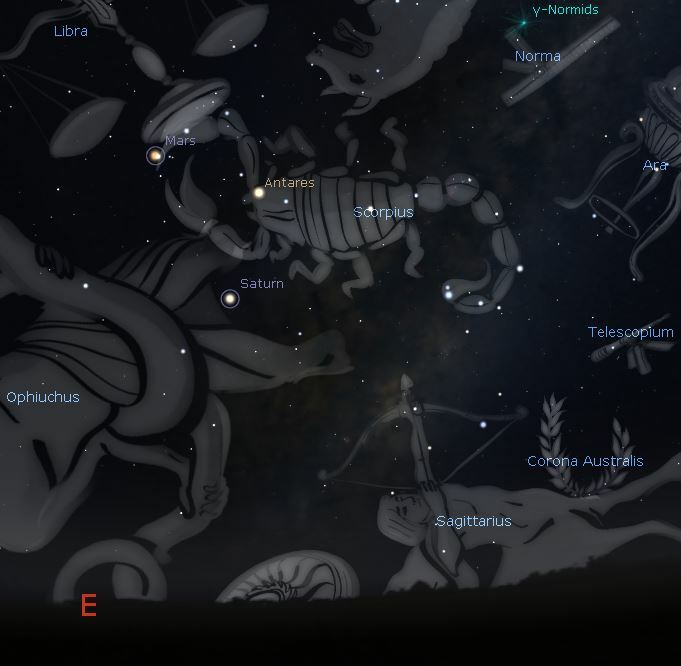 Mars can be seen against the backdrop of Libra constellation and Saturn against Ophiuchus, the Serpent Bearer. 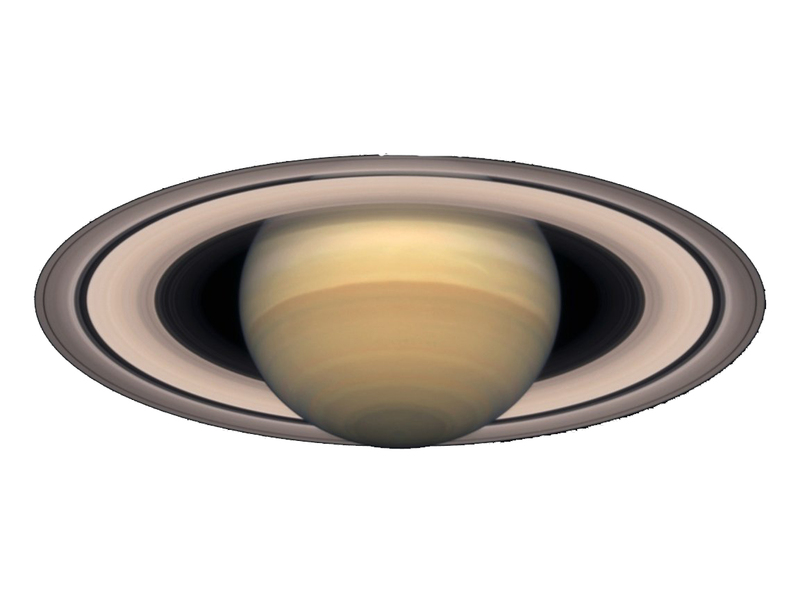 Mars and Saturn will rise around midnight at the start of the month, and around 10 pm toward the end of the month. 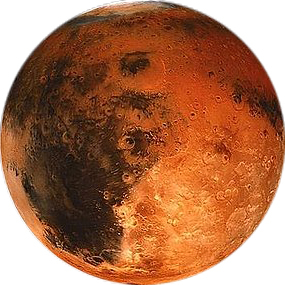 Mars is easily recognizable by his orange/red hue and is brighter of both Antares and Saturn, the latter however brighter than the star and off-white in colour. Mars will double in brilliance in March, going to reach his brightest moment in on May 22 2016 when it will oppose the Sun. 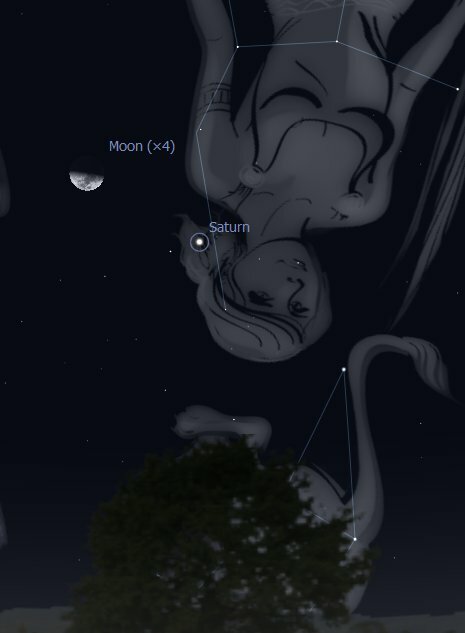 Mars and Saturn will appear close to the Moon on March 1 and 2, and again in late March, 28 and 29, an easy way to spot them by tracking down the Moon, weather permitting. This Eclipse will begin in South East Asia (Sumatra, Borneo etc.) and its totality will last for four minutes and ten seconds. Afterward the reduced shadow will move from west to east, crossing the International Date Line (180 degrees Meridian in the middle of the Pacific Ocean), so that it will begin on March 9 but ends on March 8! Apart from some regions of East Asia this Eclipse will be only partially visible from Northern Australia (Darwin, Cairns and surroundings). 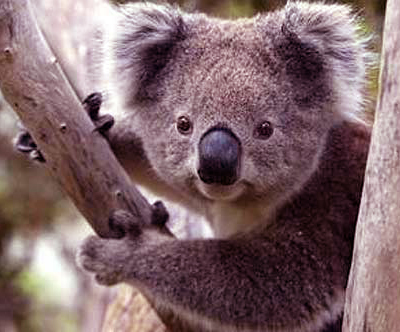 If you are as low as Rockhampton, in Queensland, you will not be able to observe it. The Eclipse will also be visible as a Partial event in Alaska and Hawaii. This is a Penumbra Lunar Eclipse, meaning that the Moon will be just touched by the Earth’s shadow this time. It will be visible, in different degrees of partiality, in many regions of Asia, Australia, North America, South America, Pacific, Atlantic, Indian Ocean, Arctic, Antarctica. 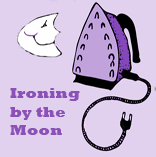 « March 2016 astrological updates: All Transits, Moon Phases, Astro-calendar, Ephemeris etc.